SNAPS photo cards are an easy-to-use set of 30 large cardboard cards depicting a variety of different types of television programs. Finally-- a flexible teaching resource for children! They're fun! 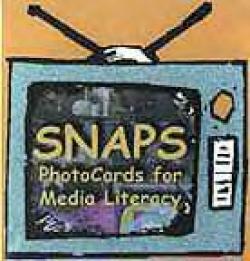 The SNAPS photo cards help young children acquire a vocabulary for talking about what they see on television. Explore media literacy issues including target audience, point of view, purpose, violence in the media, advertising and materialism, and the representation of gender and race. Use the cards to support reading, writing, speaking and listening skill development.